When it comes to human behavior there is much wisdom in the writings of the ancients. Some year ago I stumbled upon several pieces of advice from Cicero. 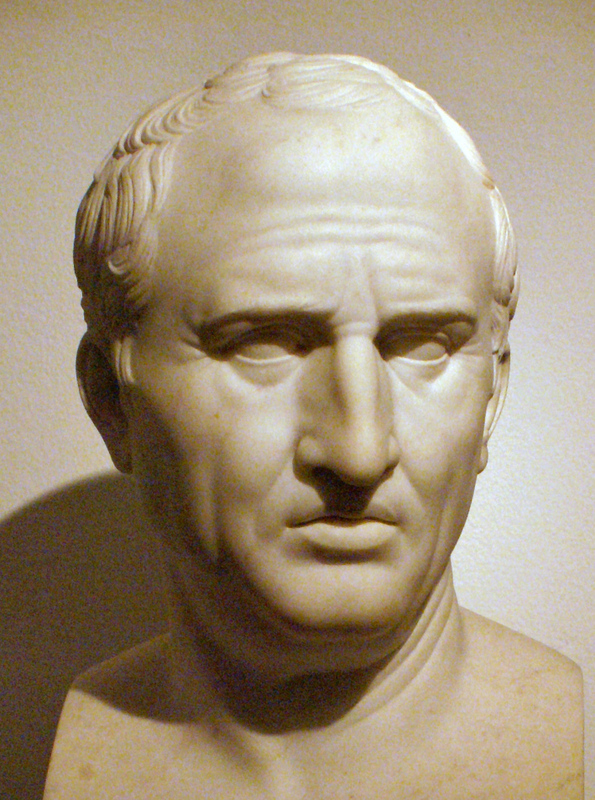 Marcus Tullius Cicero was assassinated on Dec. 7, 43 BCE. He left behind a substantive body of writing. Some years ago a colleague shared Cicero’s list of “man’s drastic mistakes.” I often review them as a reminder. As you consider your New Year’s resolutions perhaps you will reflect with me on these attributes. • The delusion that individual advancement is made by crushing others. • Insisting that a thing is not possible because we cannot do it ourselves. • Refusing to set aside trivial preferences. • Attempting to compel others to believe and live as we do. • Neglecting development and refinement of the mind and not acquiring the habit of reading and study. For those of you who would like some more specific advice the WSJ had an excellent in-depth article about what works and doesn’t work in parenting of children. Of course if you have not socialized your children by the time they reach the teen years, good luck.